The 2013 Ultiworld Holiday Gift Guide has a wide assortment of great gift ideas for the ultimate player in your life -- or yourself! From cleats to speakers to Ultiworld gear, there's something everyone can enjoy at every price point. ‘Tis the season for merriment, family, and the exchanging of wrapped goods! With holiday cheer spreading like a virus, we know many of you – in classic Ultimate player fashion – are waiting until the last minute to pick up gifts for friends and family. The Ultiworld Not-Obvious Gift Guide is here to offer some ideas with gifts to stuff your blossoming handler’s stocking. 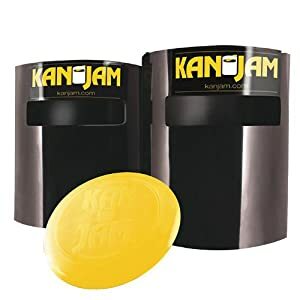 KanJam: Whether you’re hanging out at an offseason BBQ, gearing up for the Potlach party, or bonding with your team on an off day, Kan Jam can be a fun way to toss the disc. You can aim to slot it or drop it in for your teammate, but this 2-on-2 game can be played without too much room. Just be sure to bring your own disc; you’ll hate the one included. They run somewhere between $30 and $50. Holiday Jersey (VC Ultimate): There are few better ways to say “happy holidays” to the Ultimate player in your life than with some festive gear. VC’s Festivus Jersey offers the opportunity to do just that, or you can try the Ugly Sweater Jersey, in true holiday spirit. Ultiworld gear is also a good look — year round. And if you order from VC, tell ’em Ultiworld sent you with the “ultiworldFreeShip” discount count; it’ll get you free shipping on orders before December 19th. Nike Hypervenom Cleats (Soccer): The cleat world has been buzzing about Nike’s new agility-focused Hypervenom cleats. They come in three “tiers” (Phantom, Phatal, and Phelon) of descending price and quality, but are getting rave reviews. The top end Phantoms have a whopping $200+ price tag, but the Phatal’s will run around $110 and the Phelon’s, at about $80, are considered one of the best soccer cleats for the price. Football Skill Cleats (Football): Football cleats are a popular Ultimate player option, but it can be hard to figure out which ones to get. The Nike Vapor Carbon Fly TD is one of the best cleats on the market, but if you’re looking for more affordable options, the adidas AdiZero 5-star 2.0 offers a great option in the medium price range. The Nike Alpha Strike TD can be found for under $50 and are also highly recommended. Friction Gloves: An ever-advancing trend in Ultimate fashion and utility, the once-maligned playing glove is a popular item. Friction Gloves are specifically designed for Ultimate, providing grip and comfort in myriad weather conditions. Ultiworld 1st team All-Club player Josh Markette rocks ’em, and for $25, it is hard to find a reason not to put these under an Ultimate player’s tree. An Ultimate Book: Food for the Ultimate mind, many players enjoy a good read, especially when it is about their passion. Learn from some of the greatest minds in Ultimate (Essential Ultimate: Teaching, Coaching, Playing), brush up on your history or culture (Ultimate: The Greatest Sport Ever Invented by Man), or just up your game (Ultimate Techniques and Tactics). Outdoor Speakers: It is hard to get far at a tournament without hearing some music pumping from nearby speakers, but why listen to the music choices of your inferior opponents when you can select the tunes and DJ your team’s way to victory? All you need is a set of speakers that are tough enough to stand up to the outdoors and loud enough to overpower nearby sidelines. Enter the Bosch Powerbox. CW-X Tights: These CW-X Stabilyx Tights are packed with the results of kinesiology research, creating a fabric built for more than just keeping legs warm. 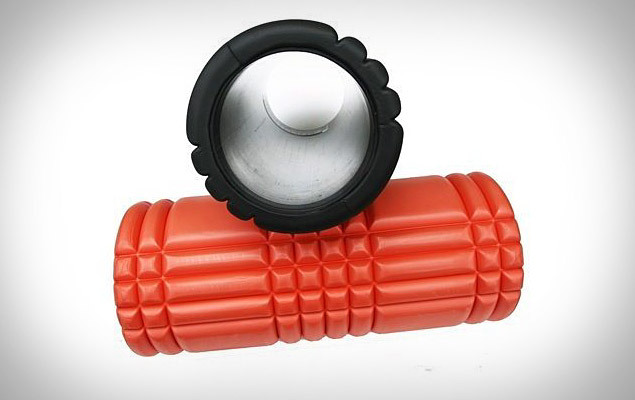 They are designed to compress and support in ways that reduce injury, speed up recovery, and increase performance. It is worth noting that the price tag is reflective of all that goes into these tights, as are often found at $100 or more, but deal hunters can snag them for less. Looking for a gift for a player that already has all these basics? Check out our gift guide from last year! Comments on "Ultiworld Holiday Gift Guide 2013"